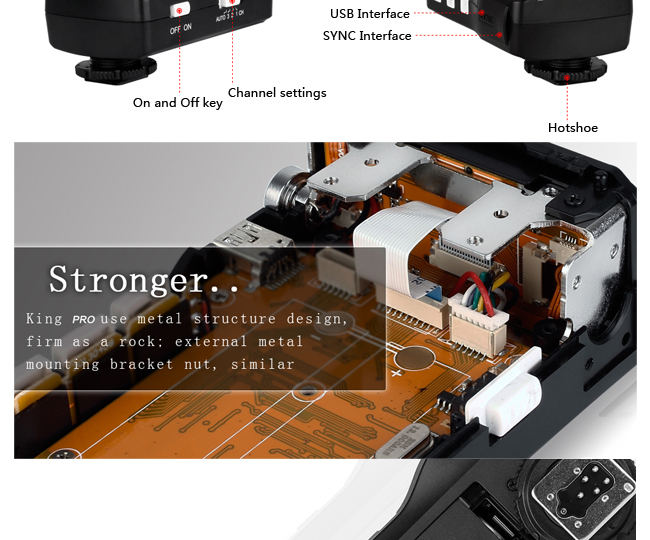 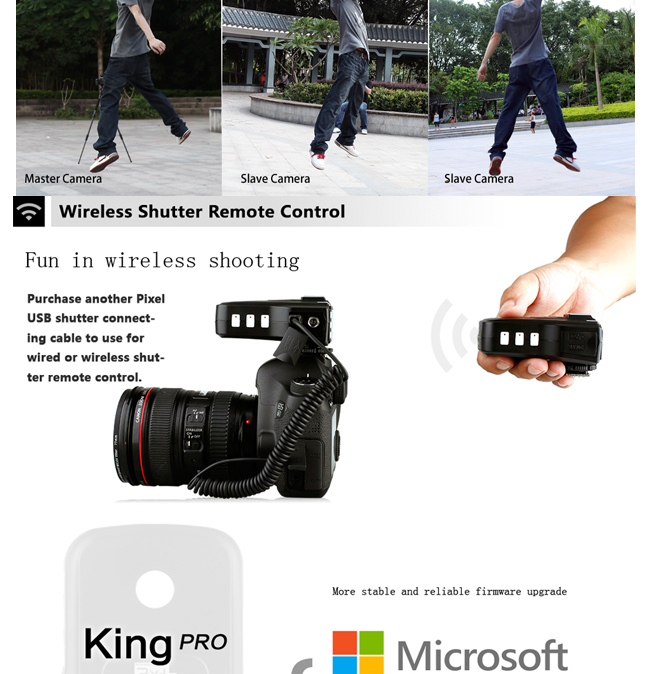 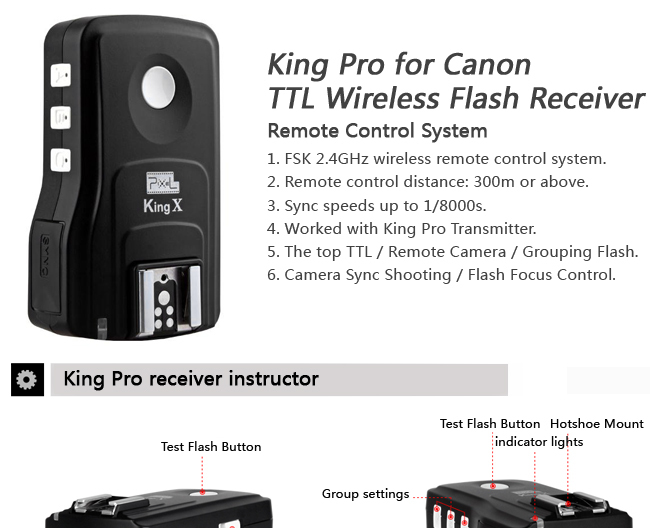 Note:The King Pro Receiver Only,Not include King Pro Transmitter. 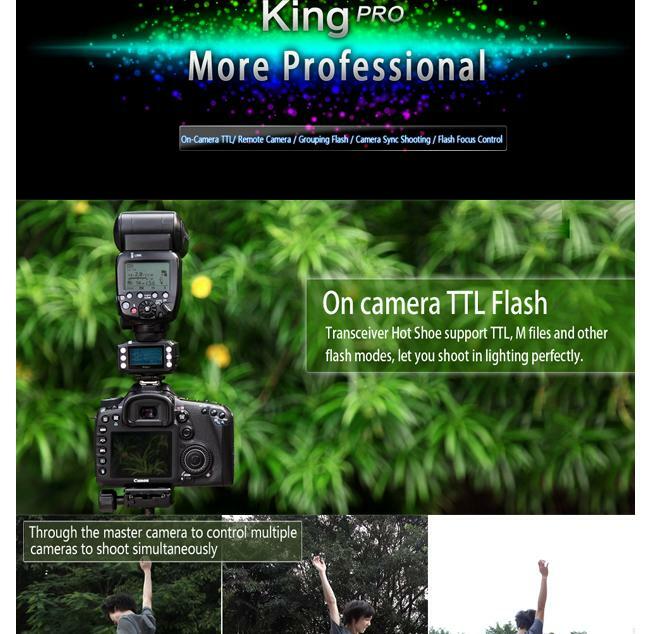 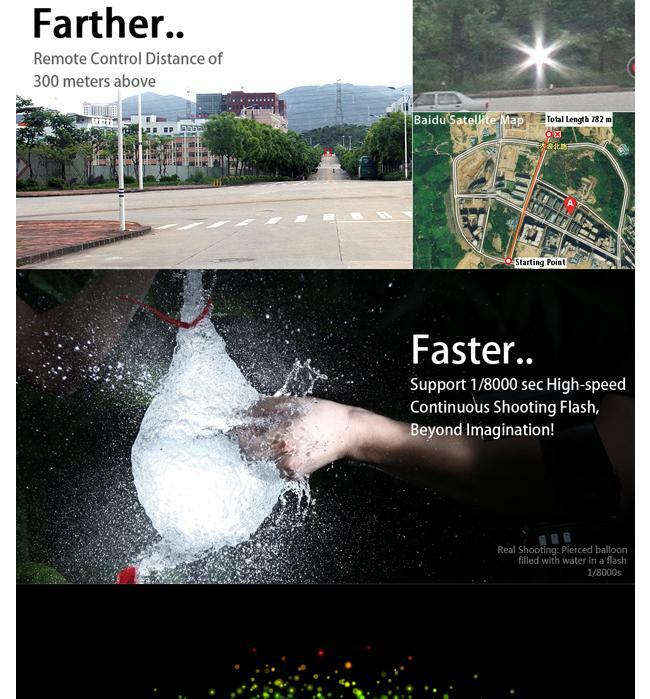 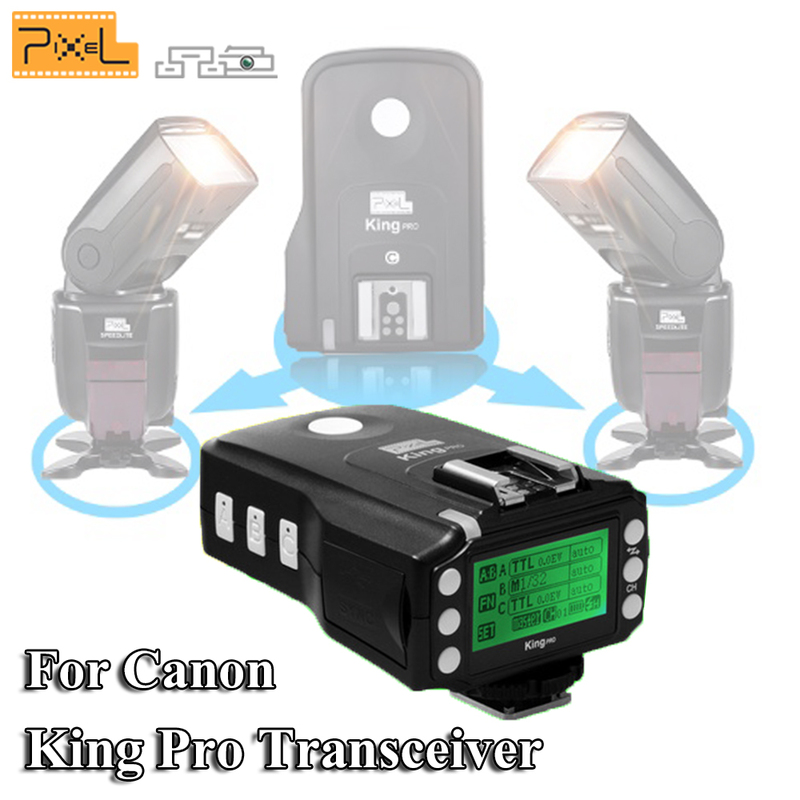 Pixel King Pro for Ca-non DSLR is the leading TTL radio flash trigger using FSK 2.4GHz. 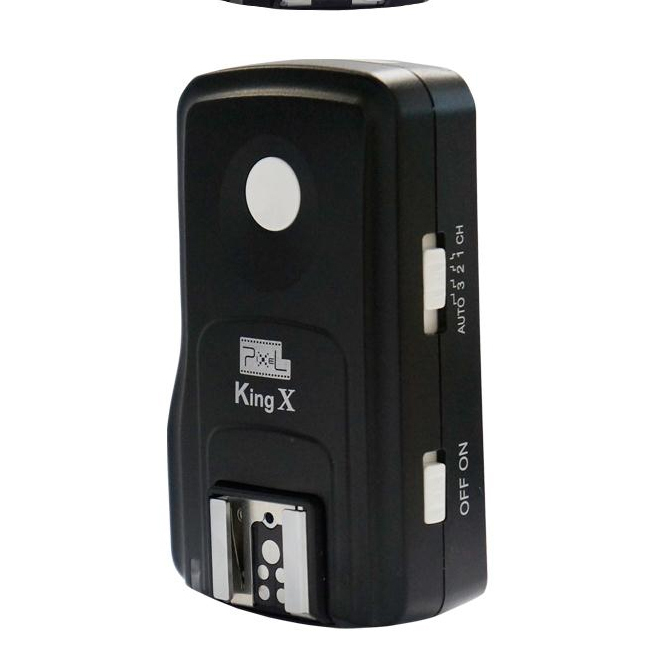 Pixel really have stepped it up with the new 3rd generation King Pro Transmitter and King X receiver. 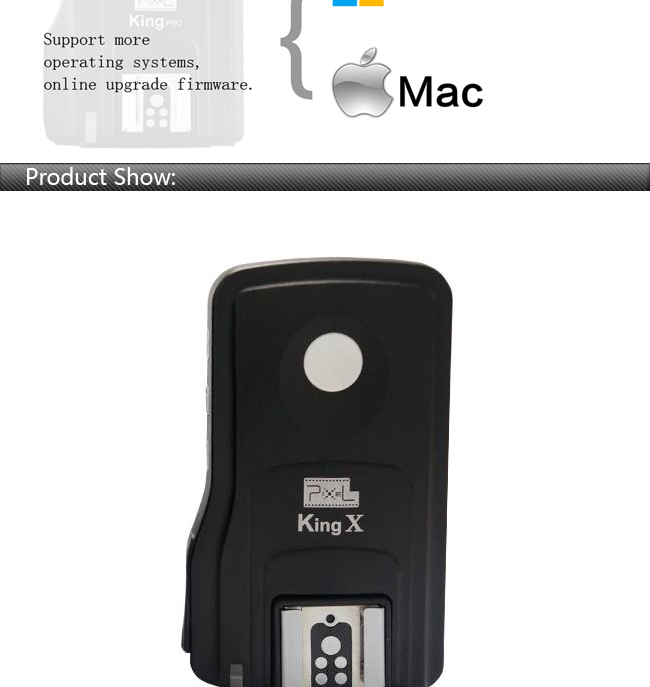 This is a major change in the physical build, as well as the functionality over the previous Kings. 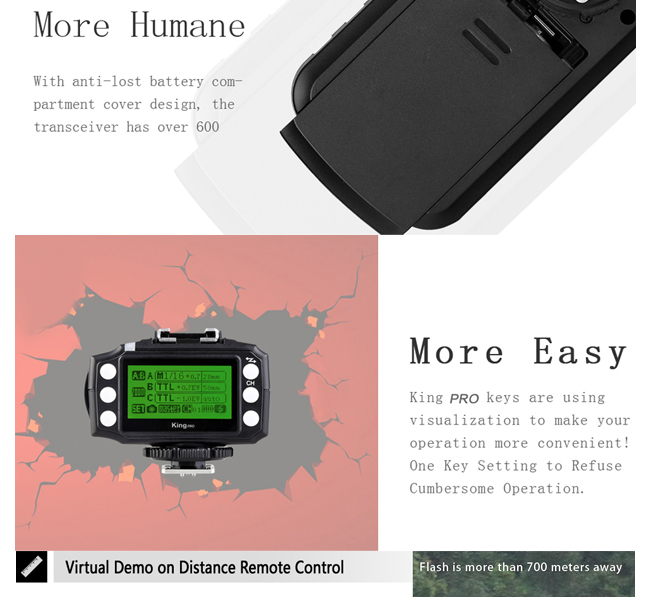 The new built in interface dramatically simplifies use, Control each group independently and easily by the back-side display of each transmitter.